Do you ever wonder where the border lies between intuition and prejudice? Rightly so! We’re told to stop acting on false assumptions, but we’re also advised to trust our instincts, our gut. 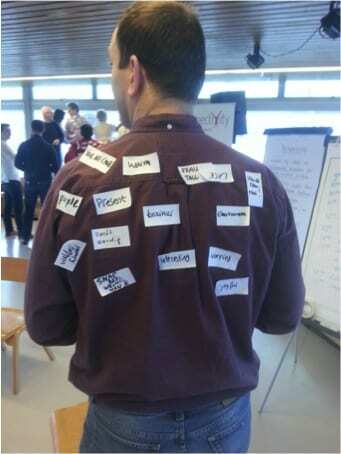 During Perspectivity’s Network Event last February we labelled each other: sticking our best-guess-assessments on people’s backs, even if we knew them just for ten minutes. Turns out our gut is pretty accurate, though sometimes off as well. The bigger issue seems to be: what do these first impressions say about you? And what do they say about us as Perspectivity? The sum of these first impressions show the diversity and complexity of the Perspectivity Network and provided us with interesting topics to talk about and listen to during the rest of the day.